New Hampshire offers great vacations. People travel from everywhere to enjoy the state's vacation attractions and activities. From the White Mountains to the Lakes Region to the ocean beaches, New Hampshire is a vacation destination beloved by adults and families for its outdoor activities, mountains, beaches, and fun family attractions. Generations of families travel to vacation spots like North Conway, Lake Winnipesaukee, and Hampton Beach. In the Seacoast and White Mountains, outdoor activities go on winter and summer. It's a vacation land for all tastes. This serene region is a place of outdoor activities in all seasons. Lake Sunapee and other lakes provide ample water sports for active vacations. Winter sports enthusiasts travel to Mounts Kearsarge and Sunapee for skiing and snowmobiling. Covered bridge fans find the Cornish-Windsor Bridge a charming attraction. Dartmouth College that attracts top-caliber entertainment for a bit of culture for travelers and vacationers. This northern tip of New Hampshire is a vacation dream for people who love lakes, rivers, towering forests. Outdoor enthusiasts travel from far and wide enjoy rugged vacation activities like hunting, fishing, camping, hiking, boating, ATV riding, snowmobiling, cross country skiing, and moose watching. Festivals and other activities and attractions are plentiful in the towns of Colebrook, Columbia, and Pittsburg. The queen of New Hampshire's Lakes vacation region is beautiful Lake Winnipesaukee, a year-round attraction of beaches and water sport activities. Other grand lakes are Big Squam Lake and Little Squam Lake. The town of Wolfeboro is rustic and homey, and popular for families with children who travel there yearly. Other lakeside towns are Moultonborough and Meredith, where vacationers can rest, walk, dine, shop and enjoy the local attractions. Manchester, a thriving mill town a century ago, is enjoying a revival as a vacation destination, fueled by attractions like performing arts and museums. Entertainment activities are always happening at the Verizon Arena. The Palace Theater presents Broadway shows and live concerts. Concord has the Christa McAuliffe Planetarium, which attracts travelers with children. Canterbury Shaker Village is a living history attraction with costumed interpreters. This region takes its name from Mount Monadnock, sometimes called the most-climbed mountain in the world, frequented by hundreds of travelers and vacationers a year. 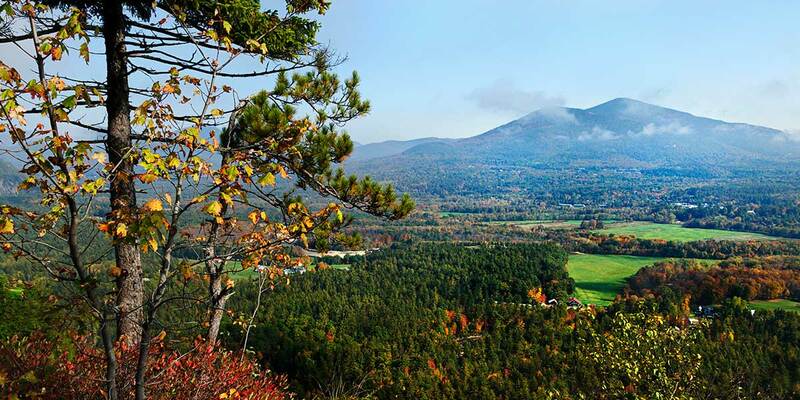 The mountain has 40 miles of trails; from the top, hikers can see all New England states. For children and families, Friendly Farm in Dublin and Stonewall Farm in Keene are great attractions that offer fun activities for kids, like visiting farm animals and taking hay rides. New Hampshire's slice of Atlantic Ocean waterfront is packed with fun, beauty, and history for travelers and vacationers. 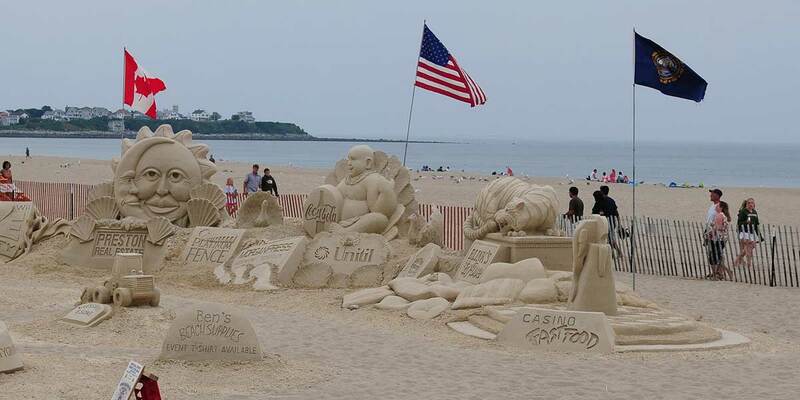 Hampton Beach is a family beach with activities and attractions for everyone. Portsmouth is a mellow place of cobblestoned streets and Prescott Park, wonderful for families and children. One major attraction, Strawbery Banke Museum, is an immersion into history. The White Mountains offer great skiing and other year-round outdoor activities for great vacations. 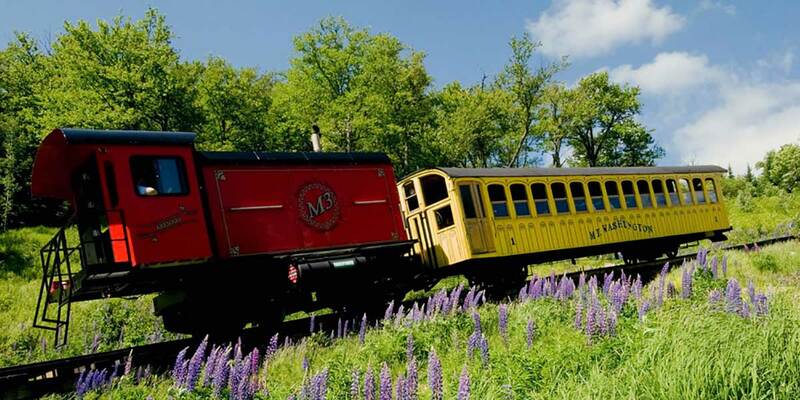 The region has 18 family attractions, including the Mount Washington Cog Railway, Conway Scenic Railroad, and the glacial Polar Caves. Santa's Village, Six Gun City, and Storyland attract young kids. Travel the spectacular Kancamagus Highway between Lincoln and Conway. North Conway has fun outlet shopping.